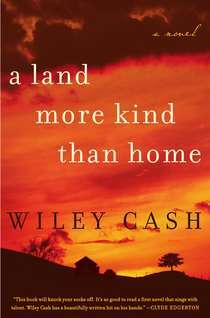 A Land More Kind Than Home is Wiley Cash's debut novel. 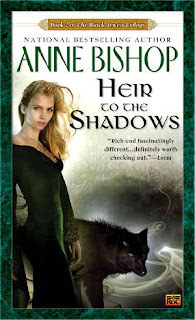 Cash is a native of North Carolina, where this novel takes place. On a hot, lazy afternoon in the small town of Marshall, North Carolina, 9-year-old Jess Hall and his mute, older brother Christopher witness the pastor of their church cavorting with their mother - in their parent's bedroom. Their one brief, tiny glimpse of this episode changes the lives of both boys forever, especially when Pastor Chambliss attempts to "heal" Christopher of his muteness, but ends up killing him instead. Former Army lieutenant Nelson DeMille is the bestselling author of numerous series and novels. 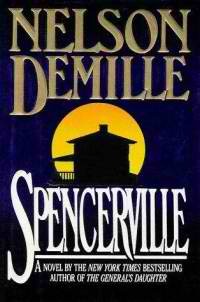 Originally published in 1994, Spencerville is DeMille's latest stand-alone novel. Keith Landry has just retired after spending 25 years doing espionage work for the United States government. With his high school sweetheart - Annie Baxter - fresh on his mind, Keith is deciding to return to and settle down in his hometown of Spencerville, a small Ohio farming town. However, once Keith arrives in town, he realizes that Spencerville has become poisoned over the years thanks to the town's corrupt, local police force. Even worse yet, the man in charge of the police force is Sheriff Cliff Baxter - Annie's husband. Gus Pelagatti is an experienced trial lawyer with years of experience trying criminal and civil cases. 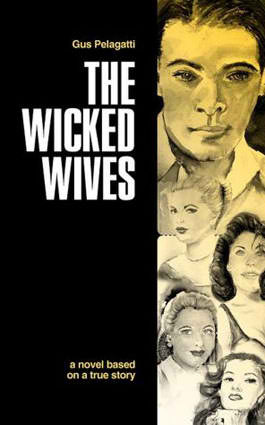 The Wicked Wives is his first novel. Based on a true story, The Wicked Wives is a fictionalized account of a major murder scandal that took place in 1936 Philadelphia, in which 17 women were taken into custody on suspicion of murdering their husbands. At the heart of the scandal is Georgia DiSipio, a handsome and seductive man who convinces many of the women to take out insurance policies on their husbands before murdering them. Investigating the scandal is assistant district attorney Tom Rossi, a man intent on ensuring the selfish and murderous women get what they deserve - a lifetime behind bars.